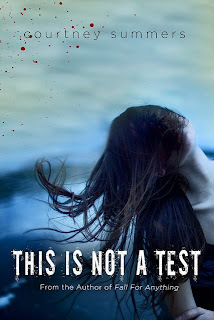 It is now secret that I have loved Courtney Summers' other books and when I heard about This Is Not A Test, I got really excited to read it. Sloane isn't the usual survivor of the Zombie Apocalypse and the back story that Summers added. It made the story more vivid and I became further invested in the story. There are several other characters that added to the story. Rhys was strong, but his instinct to survive didn't over shadow his humanity. Grace was a sweet and kind character, but still wanted to live. Trace was angry and frightening, but mostly he wanted to protect Grace. Since she is the last that remains of his family. Harrison was afraid. Cary was a leader and wanted the best for everyone. I felt a connection to all of the characters and felt that I could honestly be any of them. The plot was really exciting and I kept on thinking would I do that? The details that Summers add to the story were frightening and made me visualize it. Also while the book is about survival, it doesn't make survival boring. I didn't want to stop reading and that feeling lasted with me long after the ending. This story was original for a zombie novel, because it added a feeling of suspense from Sloane's past. I also liked the idea of a school, because for most teens, they dread school. Now they are forced to either survive in a place that they hated or contend with zombies that want to murder them. The relationships were also different in the book. It wasn't the usual need for intimacy that is in a lot of survival novel, but something more realistic. Summers' writing style is sharp, fierce, and sparse. I enjoy her writing and find it to be amazing. Even thought it is during a Zombie Apocalypse, it remains realistic. 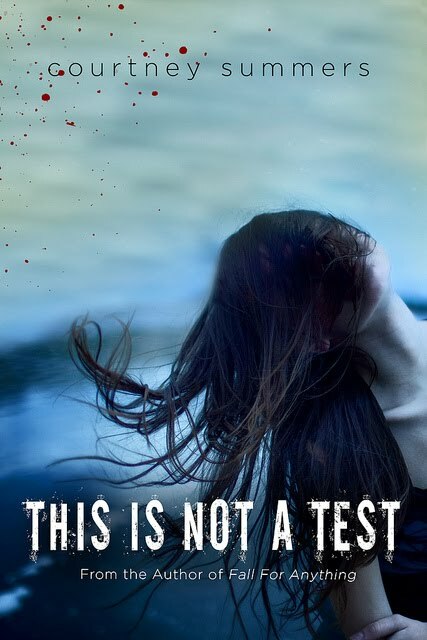 As always, I can't wait to read more from Summers and highly recommend that you read This is Not a Test as soon as humanly possible. I promise that you will not regret reading this book. When a humiliating picture of Blythe goes viral, she's instantly the target of ridicule at her new school. To salvage her reputation, Blythe teams up with Luke to win the Senior Scramble scavenger hunt. But Luke is an unlikely ally and potentially can't be trusted. Perhaps it's his Shakespearean witticisms that reel Blythe in despite her better judgment . . . or maybe she just craves the thrill of the game. But as the hunt progresses, their relationship heats up. Soon their madcap mischief spirals out of control. Blythe is faced with arrest and expulsion, among other catastrophes - until Luke shows her what the Scramble (and love) is really about. Blythe is a very likable character and I like that she was a strong character. She grew a lot in the book as she learned more about herself. Luke is a very intelligent and nerdy character. He was also sweet. The cover makes it seem like it is just a romance, but it also had a lot to do with self-discovery and deciding what to stand up for. The plot was really quick and I found myself engrossed in this book. 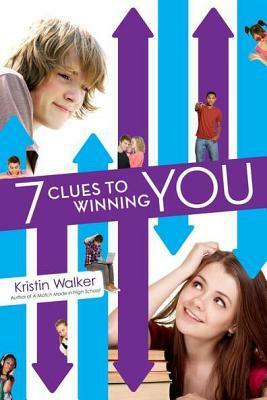 Kristin Walker creates hilarious and happy books that are super quick reads. If you like A Match Made in High School, you will definitely love this book. I am excited to see what Walker will write next. Sarah won Hold Me Closer, Necromancer by Lish McBride and Shadow and Bone by Leigh Bardugo. Angie won Monument 14 by Emmy Laybourne and Struck by Jennifer Bosworth. Emails have been sent. You have 48 hours to contact me. I have one copy of The Immortal Rules by Julie Kagawa for giveaway. Just fill out the form below and have US address by the end of July 20th.